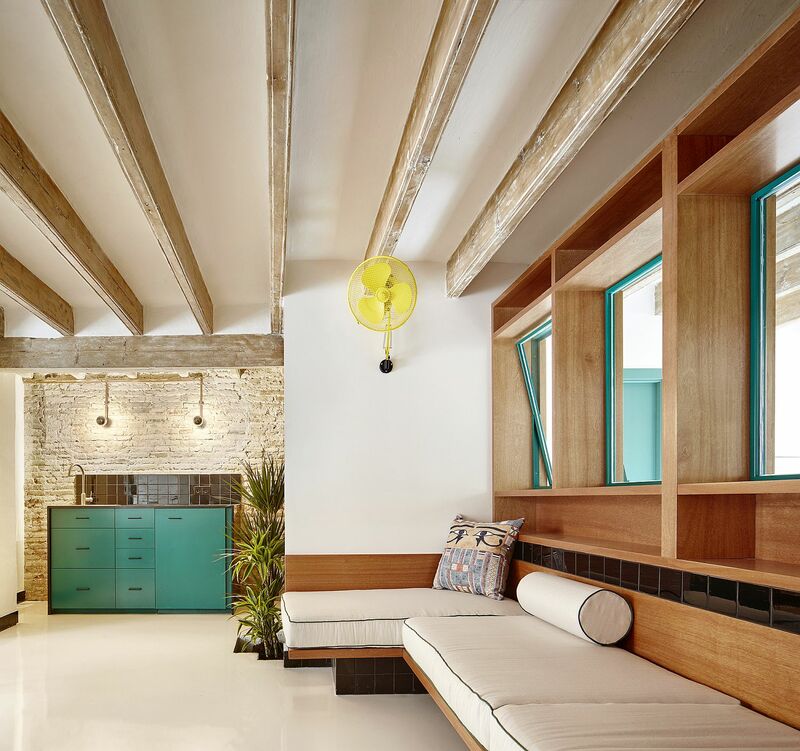 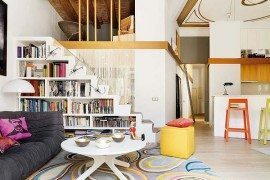 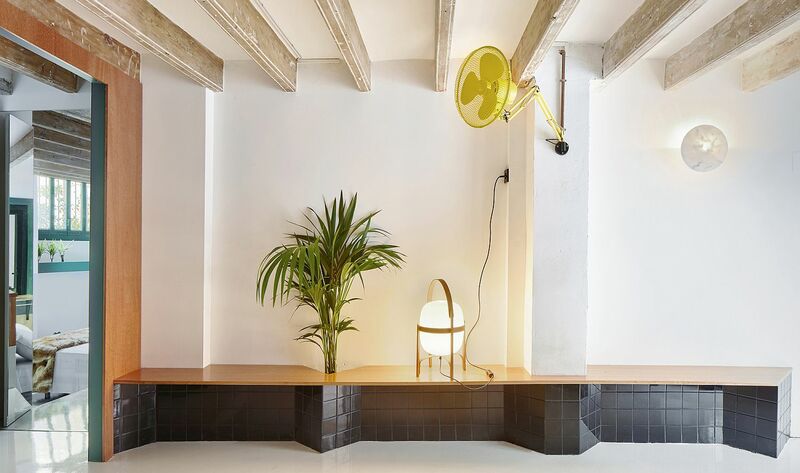 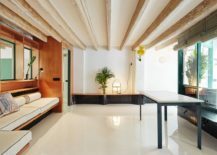 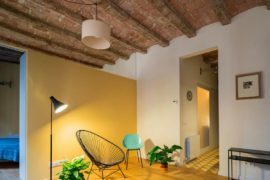 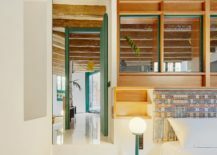 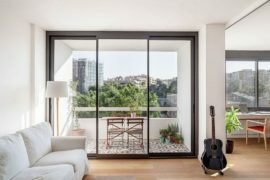 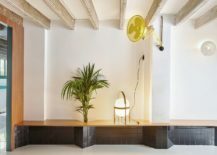 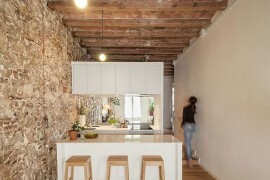 55 square meters of space might not sound like much, but for Mariana de Delás + Marcos Duffo, it was enough of a space to be turned into a stylish and exceptional apartment for a young entrepreneur based in Barcelona. 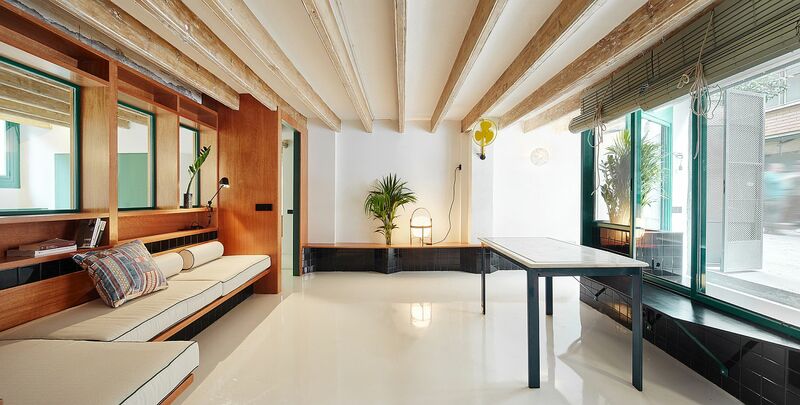 This space-savvy apartment with low ceilings seems even more amazing when you consider that it was previously a motorcycle workshop a neglected squatting house. 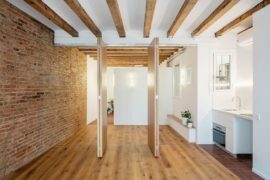 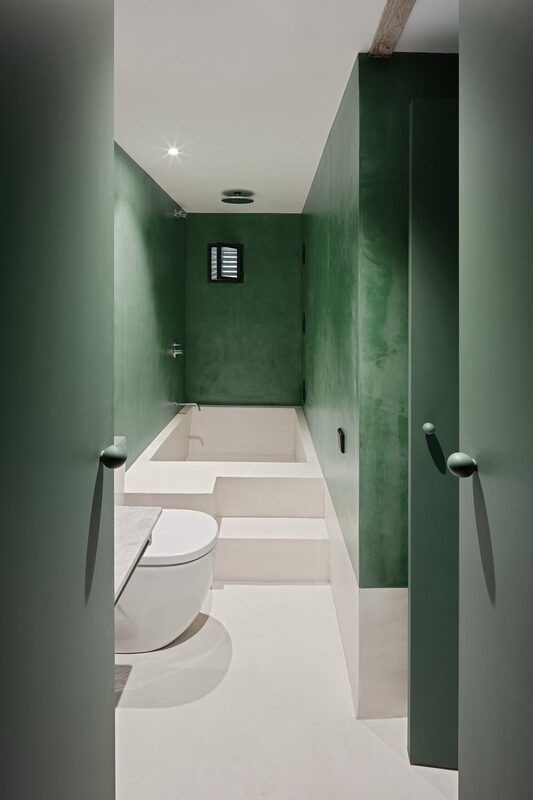 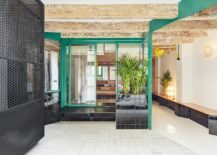 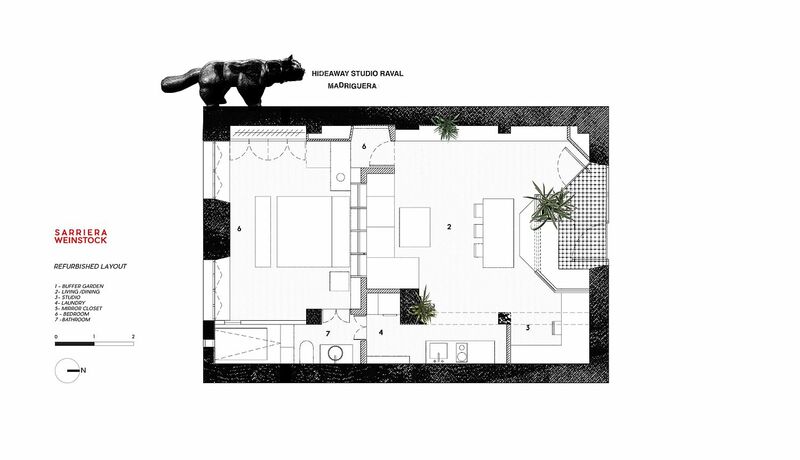 The new interior borrows architectural elements from the existing structure like the exposed brick wall in the living room and the wooden ceiling beams even as the white epoxy resin flooring adds contemporary gloss and radiance to a small, forgotten space. 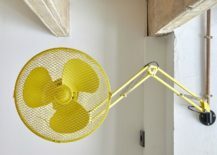 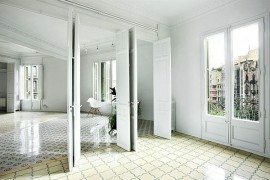 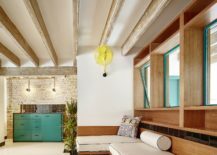 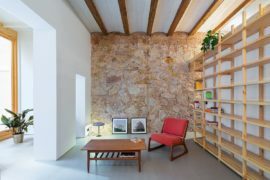 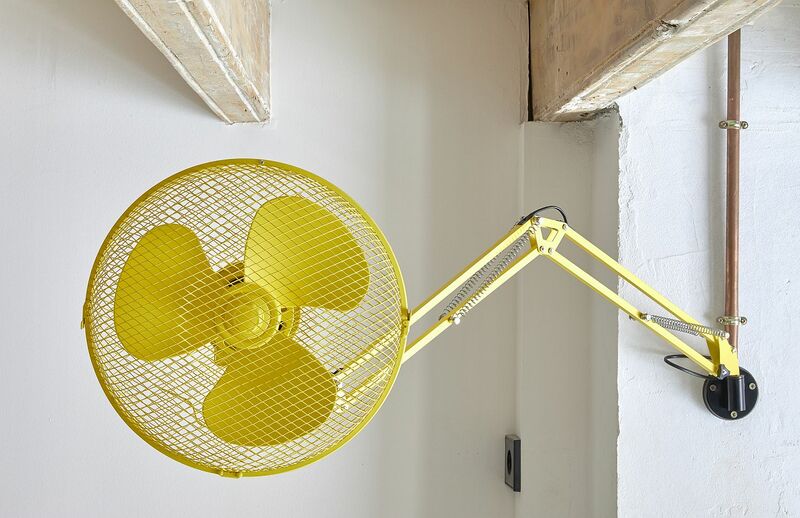 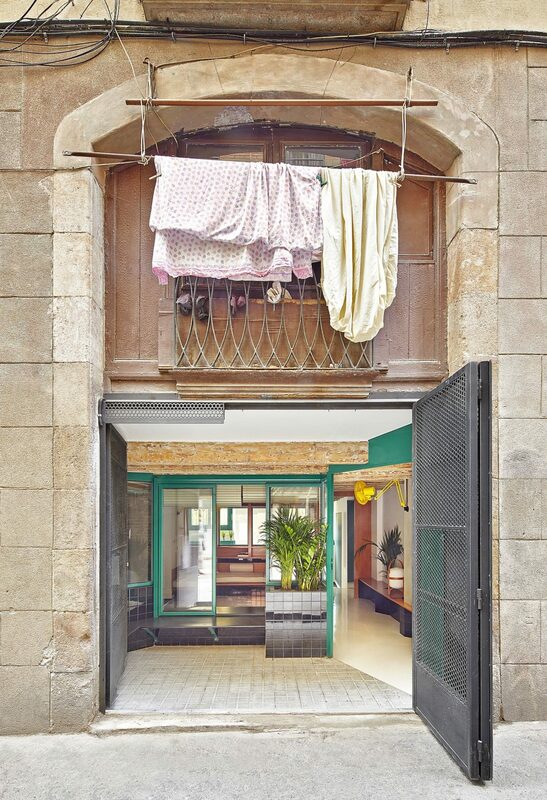 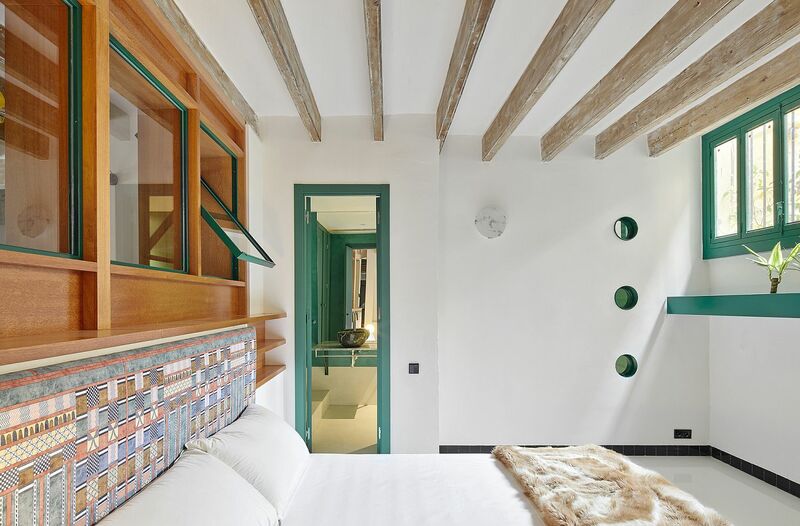 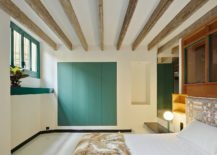 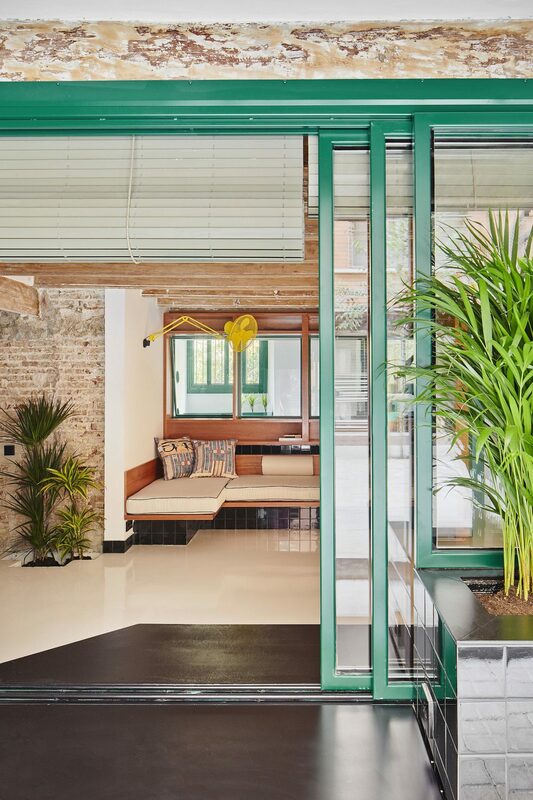 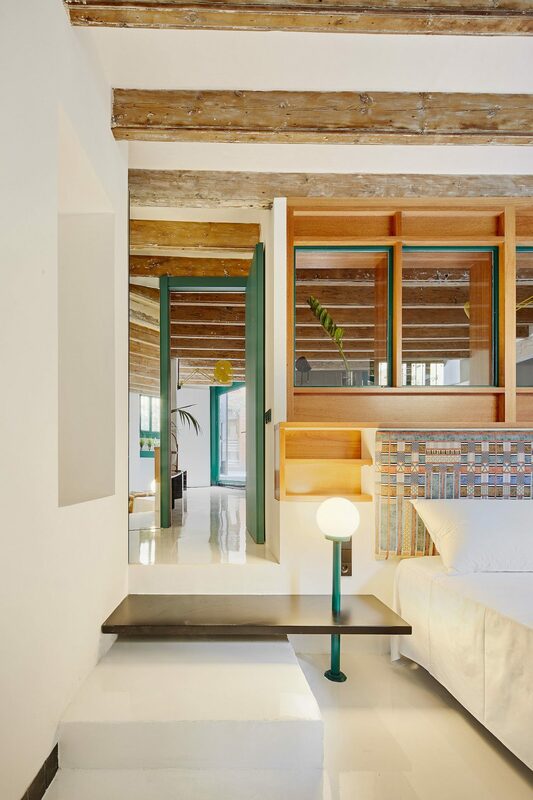 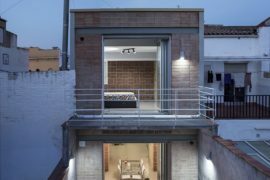 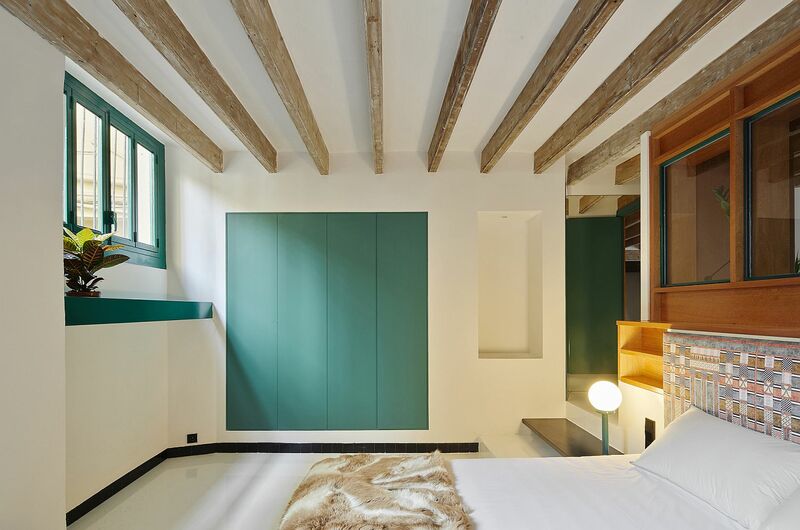 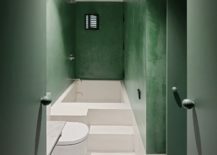 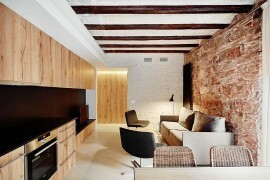 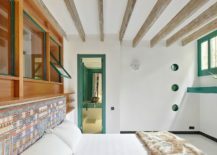 Since the homeowner is more on the move and the Raval Hideaway is mainly a space to rest, rejuvenate and host between his long trips, the need for extensive use of décor was avoided. 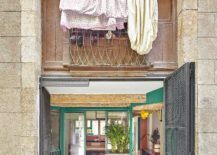 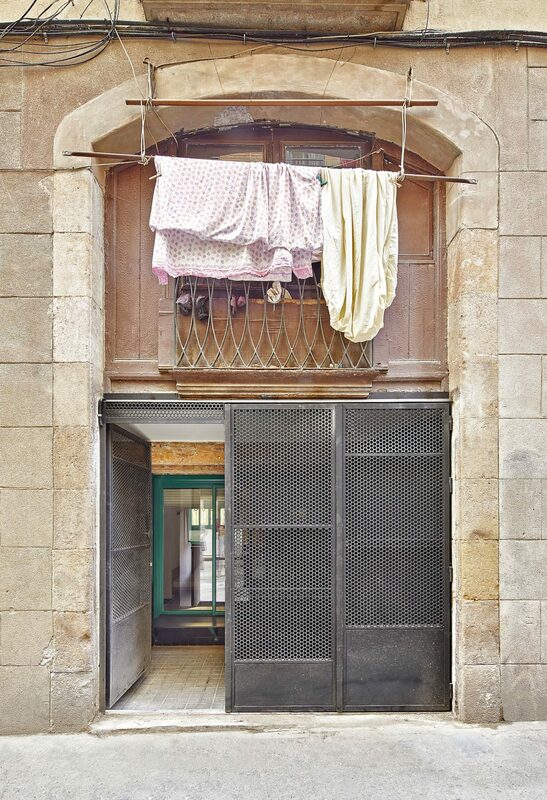 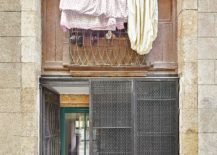 A loud club and bar right across the street and the noisy street itself dictated the presence of a front garden with twin doors – one that is made out of folding, perforated iron sheets and the other crafted using sliding glass doors. 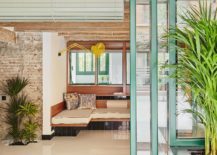 This creates a fabulous front garden with built-in seating that also acts as an acoustic shield, keeping out both noise and prying eyes!